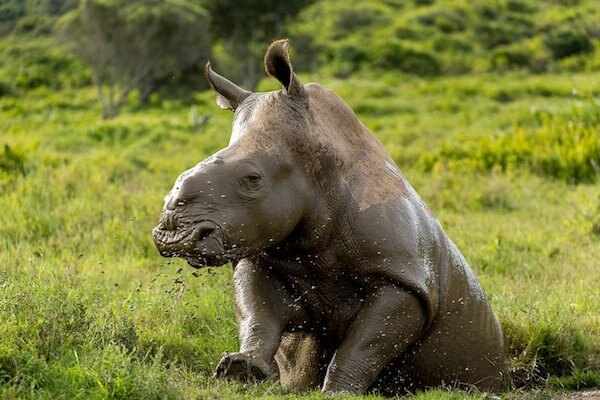 Located in the lush wilderness of the Eastern Cape, Kariega Game Reserve spans 10,000ha over the Bushman’s and Kariega Rivers and across the rich valleys and hills of the dramatic Cape landscape. The game reserve is home to an abundance of free-roaming big game wildlife including lion, elephant, black and white rhino, buffalo, hippo, giraffe, zebra, antelope and much more. Enjoy close-up Big 5 game viewing from an open safari vehicle in the company of your experienced and knowledgeable game ranger. Birders will also enjoy a myriad of birdlife, especially along the rivers enjoying a unique safari river cruise upon the Kariega Queen, one of the best tours in South Africa! The wilderness of Kariega Game Reserve is matched by luxurious safari lodge accommodation, excellent personal service, and tasty local cuisine. River Lodge – the perfect exclusive safari experience, set on along the Bushman’s River offering exquisite views of the water from the deck, dining and living areas, as well as some of the suites. Great for romantic safari getaways. Ukhozi Lodge – ‘Place of the Eagle’ – a classic safari lodge perched over the surrounding valleys. Each suite has its own private viewing deck and plunge pool, as well as a spacious living area and generous en-suite bathroom. Main Lodge – Nestled deep in the lush bushveld atop of a valley, each chalet offers privacy and great views. Perfect for families and larger travelling groups with a relaxed dining area and bar leading onto spectacular views from the deck. Other facilities include gym, spa, generous pool, and conference facilities. Settlers Drift – Luxury 5-star tented safari lodge set in remote part of the Kariega wilderness. Beautifully designed and appointed tented suites for two. The exclusive lodge caters for a maximum to 18 guests. The Homestead – A private safari homestead for the exclusive use of one travelling group or family of up to fourteen people. Private chef and game ranger included.